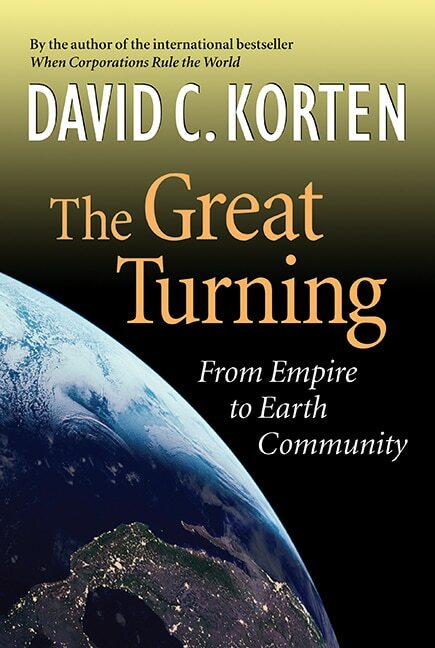 An earthshaking book–a product of brilliant thinking from one of history’s most groundbreaking intellectuals and activists. 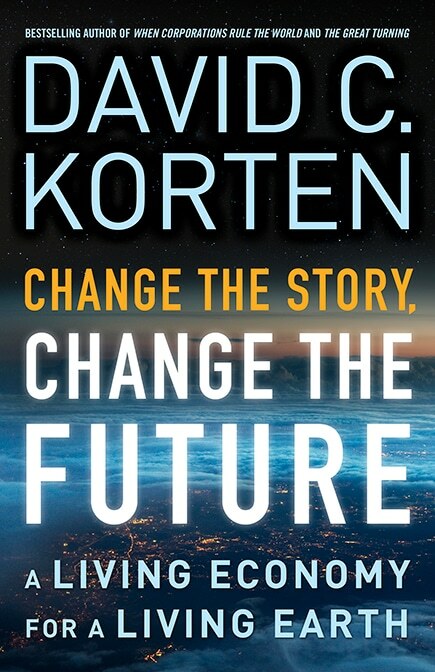 This is beyond “big think.” In fact The Post-Corporate World is positively cosmic…Korten’s book is valuable because it invites us to do something we rarely bother about: to reimagine ourselves. 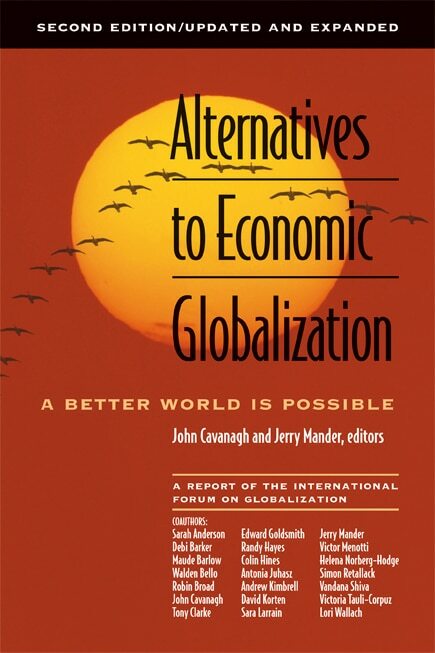 Radical as such proposals seem, they actually reflect processes that are steadily gaining momentum around the world. 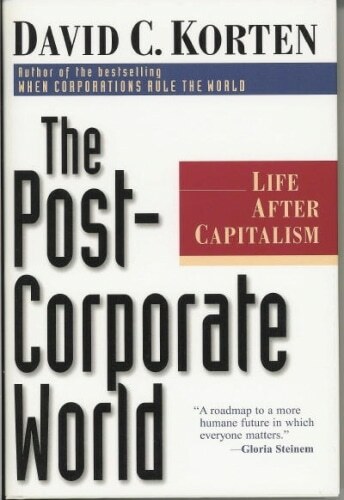 The Post Corporate World provides a vision of what’s needed and what’s possible, as well as a detailed agenda for change. 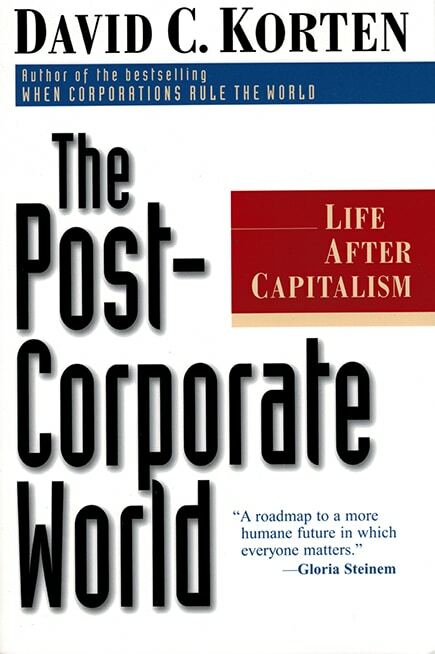 Korten shows that to have a just, sustainable, and compassionate society, concentrated absentee ownership and footloose speculative capital as embodied in the global, for-profit public corporation must be eliminated in favor of enterprises based on rooted stakeholder ownership limited to those with a stake in the firm as a worker, supplier, customer, or member of the community in which it is located. 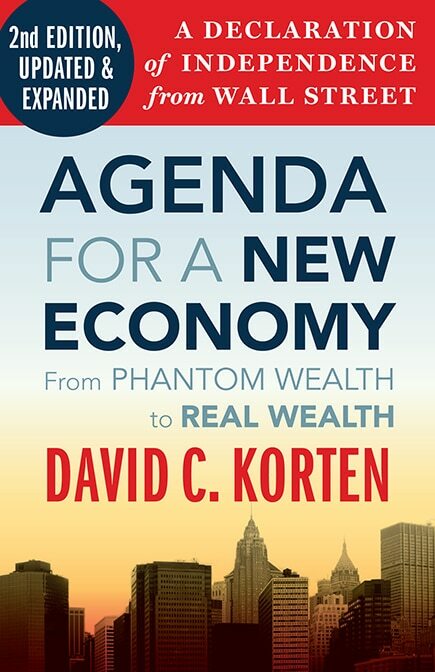 Korten outlines numerous specific actions to free the creative powers of individuals and societies through the realization of real democracy, the local rooting of capital through stakeholder ownership, and a restructuring of the rules of commerce to create “mindful market” economies that combine market principles with a culture that nurtures social bonding and responsibility. 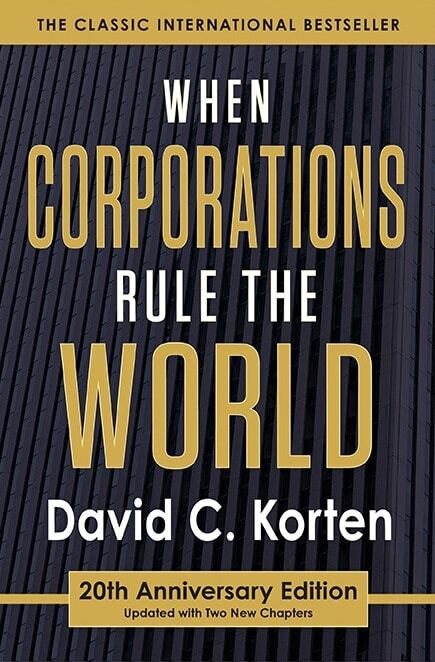 Like Korten’s previous bestseller, When Corporations Rule the World, this provocative book is sure to stimulate national dialogue and inspire a bevy of grassroots initiatives. It presents readers with a profound challenge and an empowering sense of hope. Read a review by David T. Ratcliffe with extensive annotated abstracts and web linked references .